I love stories about people making a ton of money with blogs, and here’s another one. 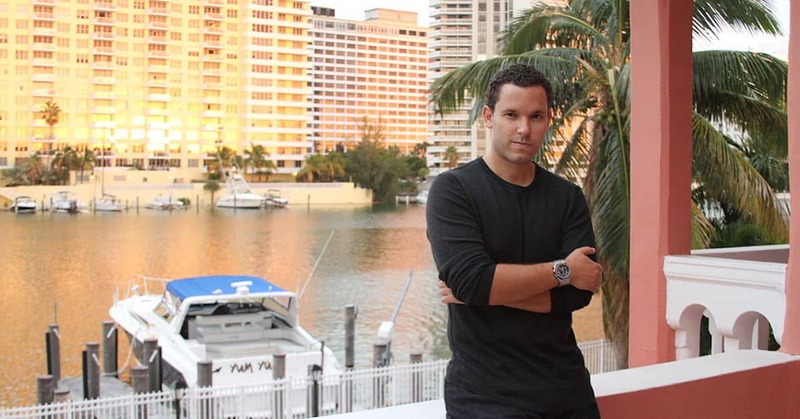 Timothy Sykes, as you will hear in this interview I did with him, is an excitable guy and he’s making a lot of money online (his most recent report was $100,000 a month!). His skill is stock trading, in particular, short selling penny stocks. Not only does Tim make money from stock trading, he makes even more by providing training and tips to others so they can also profit from penny stocks. His blog and email newsletter are the marketing tools he uses to sell his stock trading tips premium membership, which accounts for the biggest chunk of his monthly earnings. This is a great case study example of Conversion Blogging (blog + email list business model), where Tim is able to leverage his passion and built-up years of experience and translate that into a huge income stream just using some fairly straight forward online communication tools. In this interview, you will hear Tim talk about how he made his first million dollars, then how he lost a big chunk of it, how his blog started and how he structured his current online business that generates six figures per month. You will also hear some strong opinions and a few segues as Tim and I take the discussion across a range of Internet related topics. 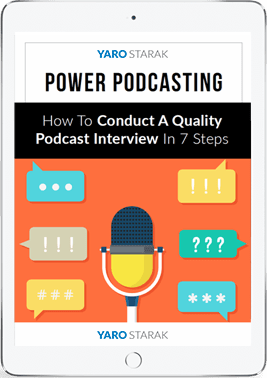 If you want to be inspired and hear exactly how someone uses a blog to make a lot of money, this is a must-listen interview. Enjoy! Excellent article and interview Yaro. Tim has followed many of the techniques that you utilize and has done well. Great to get another point of view and success story. Looks like a pretty cool interview. I will definately have to check it out. My goal has always been to be a millionaire by the time I am 21. Currently I am 20 and sitting 20k in debt. But who knows, it could be possible. I will settle for a millionaire at 30 though. Looking forward to listening to this interview. I know its hard but I would love to have some of it in writing so I can skim through it. Hard to skim through an audio program. Just an idea (pay someone to write it for you…less work for you). I love to hear of people who have become successful through blogging too! Well, looks like the good times are over, i.e. these days even top hedge funds and large corporations loose money on the stock market, for there is no logic left only panic. This will be an interesting interview. I know absolutely nothing about stocks, but wouldn’t hurt to learn about it. Look forward to the interview. I always enjoy listening to your “success story interview” features. Great stuff! These days, it’s refreshing to hear about the great things happening for business bloggers! Great interview. Very inspiring and it shows that it’s possible to make a lot of money blogging not only in the IM niche. Thanks for the interview, Yaro. Just finished listening to it. Great insights. I had tried prleads in the past but gave up because of time but he has definitely inspired me to give it a go in future because it really was as he said (reporters searching for leads from CNN, NY Times, O Magazine) and I’m thinking it would be awesome to be featured there. He has one of those personalities and styles that will definitely polarize and probably get him a lot of diehard, Timothy Ferriss/Gary Vaynerchuk-esque fans, so he looks like he is destined to grow. I never would have thought it could be done in the stock market. The impressions I got when I first entered the IM world was it was completely oversaturated and all the dominant players had already established themselves and taken everything. Guess I was wrong…….. I believe that all the smart bloggers should use the experience and increase their incomes. Now there are a lot of good information. This is a great book..I’m glad I found it. I will quote from it in my thesis about hedge fund operators. I also learned a lot about hedge fund trading strategies from 2 other great books. Hedge Fund Trading Secrets Revealed..by Robert Dorfman..and Confessions of a Street Addict of course by Jim Cramer..written before he got really famous..both are riveting and very informative. You should check them out if you like reading behind the scenes stuff about hedge fund and what methods they use..….. following Dorfman’s strategies my winning ratio is now better than ever. Tim’s story is inspiring. Putting simply, it is all about hard work and a certain set of tools. I simply love the way that the dialogue took place: Tim curses a lot and it sounded quite natural, while Yaro never seems to be without something meaningful to speak — although he hesitated a couple of times and I had a few blasts myself. I am not that good with uncomfortable silences. I have lurked for a few weeks before finally posting a comment: I am about to enroll on Mastermind, just waiting for a new credit card month. Meanwhile, I am browsing the files (here and Problogger) and doing some stuff in advance: defining niche, choosing domain, writing mission and plan of action, there is a lot of ground to cover! This is why your blog is the best Yaro. I’d pay money for this kind of information. Wow! A lot comes to light here for me. I’m not alone. I thought it was really important that he mentioned a few things 1) It isn’t a 4 hour work week, I have found like John and like recent interviewee Leigh Peele, that in order to be successful there is a lot of work to be done on the front end and that 16 hours a day working on your blog is what it takes. While John seems to have it down to a system now, he didn’t just throw something out there and expect people to come. 2) You can’t expect money right away, if you get lucky you may make it quickly, but it’s more important to get people to your site, this isn’t a get rich quick scheme. 3) Keep it real, people appreciate it. I remember trading penny stocks years ago. It was a ton of fun and I enjoyed using a simple spreadsheet to track my profits. My accountant wasn’t too happy with all the quick trades though. In the end I made a few bucks, but it wasn’t worth the amount of time required to monitor everything. Another great success story Yaro! I always enjoy reading/listening to these inspirations of the entrepreneurial spirit. These are the types of stories that first got me going so many years ago. Tim’s surely utilise his asset – his knowledge – to make MORE money coming in to his pocket. Hi! This is an excellent interview. I noticed that the loss of money in big business is inevitable. I have heard that many bloggers often lose money. Thank you very much for what I call these “Case Study” type of interviews! I learned a bunch of great tips! 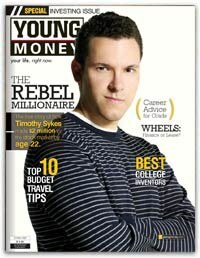 What I’m going to do is start a blog in a really hot niche and promote a service and affiliate product from it, sort of like what Tim Sykes is doing. I don’t really care for his blog. He doesn’t really publish informative blog posts – just short updates on his trades in an effort to hype the dvds he sells. Great interview and very inspiring. Thank you. Great job done Mr. Starak, Inspiring indeed. A phenomenal story. It’s not often you get to hear from a blogger that’s doing 6 figures online. Thanks for the info. In fact there are so many stories about online successes, that it is disheartening when small bloggers like I am do not make too much money out of blogging. Great interview. Keep it coming Yaro! timothy seems to be one of the few people online that do not say bs stuffs. although i disagree on some of his opinions, i can sense that his subscribers can trust that he gives honest information/opinions. I don’t have any advertising on my blog, except for a few affilate links in individual posts. Advertising will show up after a loyal readership is established in a month or so.